You see them all the time, probably without even knowing what you're looking at. Generally, they're tiny stalls near train stations plastered with paper signs saying something or another. But look closer and you'll see that those signs are actually advertising discounts. 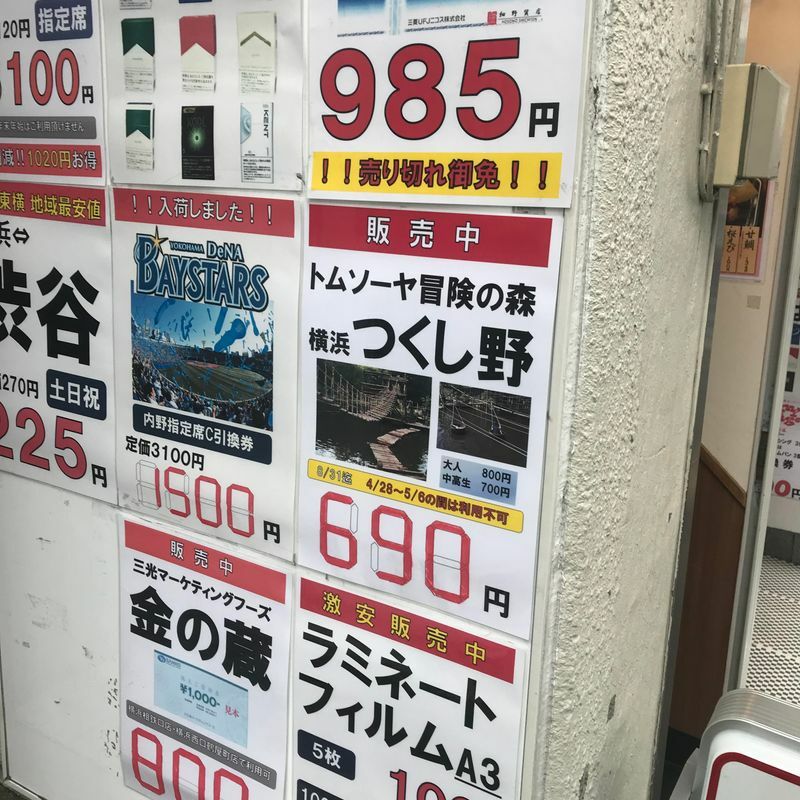 Welcome to the world of discount ticket shops, or kinken shops (金券ショップ). At these magical shops, you can buy all sorts of things, ranging from Shinkansen tickets to tours to (sold out) baseball game tickets. This particular shop even sells files at a discounted price! Some shops also offer currency exchanges as well, often at a better rate than the banks do. Moreover, if you receive a gift card for someplace that you don't like, you can take it here and resell it. Obviously, they need to make money, so you won't get full face value for it, but something is better than nothing! In that same vein, you can also buy gift cards at a slight discount here (I'm taking like 10 yen off 500 yen). But if you're making a big purchase, it adds up. I needed to travel from Yokohama to Osaka. However, because of a medical issue, I preferred not to fly. I didn't have much time to take off of work, so a night bus was out of the question. 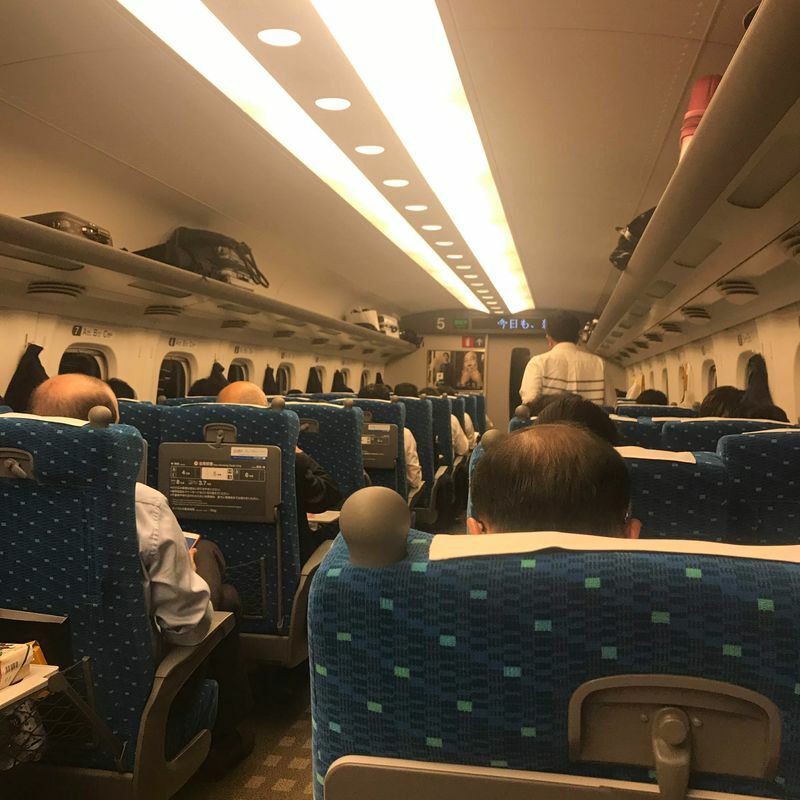 I decided to treat myself to a ride on the Shinkansen. Usually, I can't justify the expensive cost, but I figured getting a bit of a discount on the tickets would convince me that it was money well spent. Here, you can see the shop I went to advertising Shinkansen tickets from Shin Yokohama Station to Shin Osaka Station. Normally, the tickets cost 14,120 yen one way. 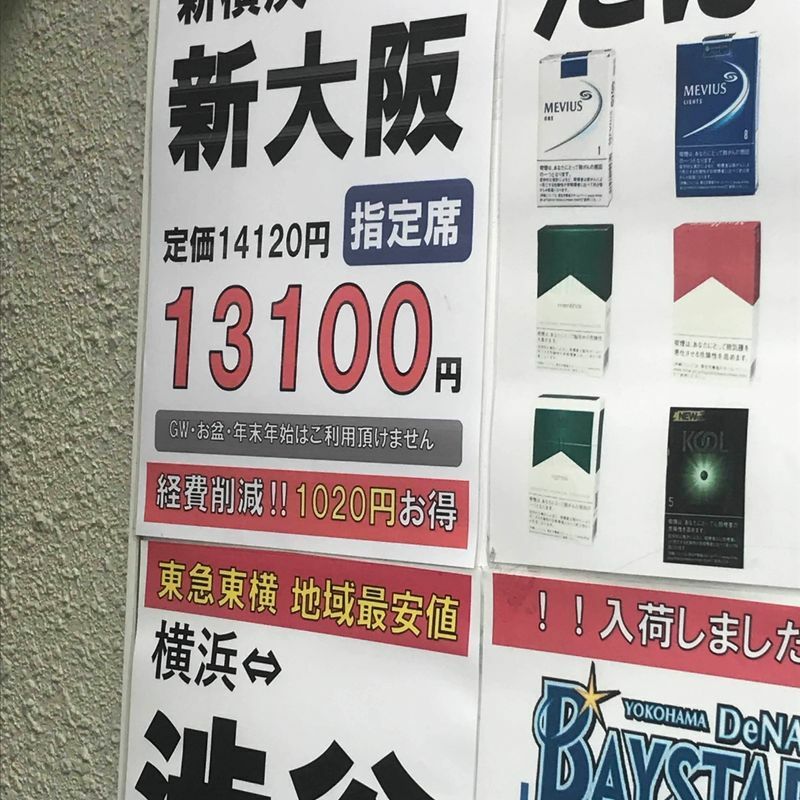 However, at this shop, I could get a 1,020 yen discount and get a ticket for 13,100 yen. While it's not spectacular, I was buying round trip tickets for two people, so I ended up saving 4,080 yen overall. I'll take it. It is important to note that there are blackout dates for the tickets. During popular seasons, like Golden Week, Obon Festival, and the New Year, you can't use the discount tickets. If you are concerned, you can tell the staff which dates you are travelling and they can tell you if the tickets can or cannot be used. Purchasing the tickets was simple enough. The staff didn't speak English, but all you need to tell them is where you're going and if you want a single or round trip ticket. At some shops, you may be required to fill out a form with your information, but I didn't need to. I paid and was handed the vouchers and a receipt. However, this isn't the end of it. 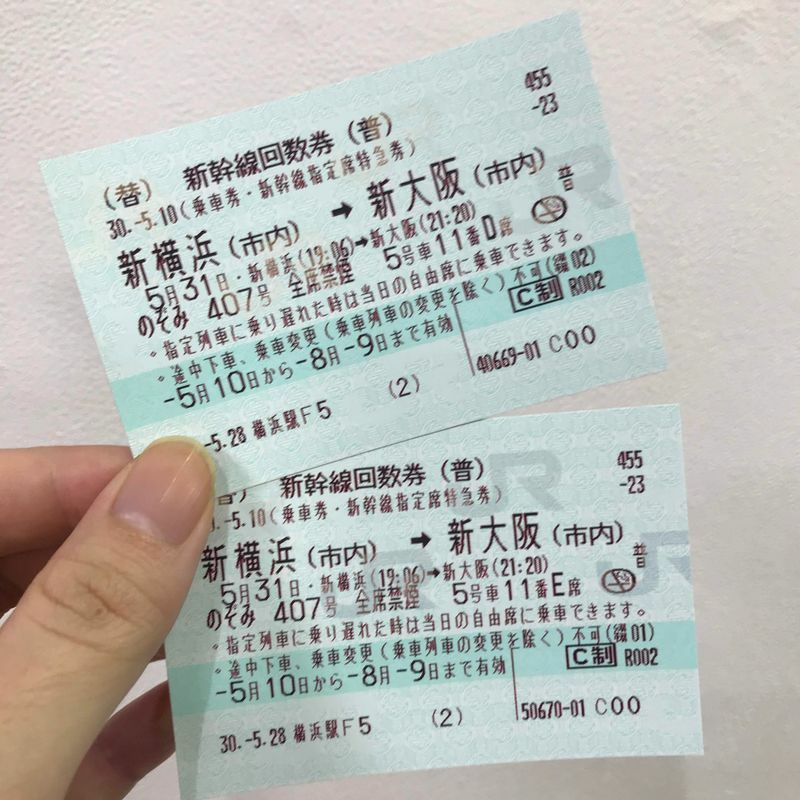 With what the ticket window gave me, I needed to go to the JR ticketing agent (Midori no Madoguchi) and have the voucher exchanged for an actual ticket. I needed to reserve my date and time with JR (something the discount shop couldn't do) and then get an actual ticket. 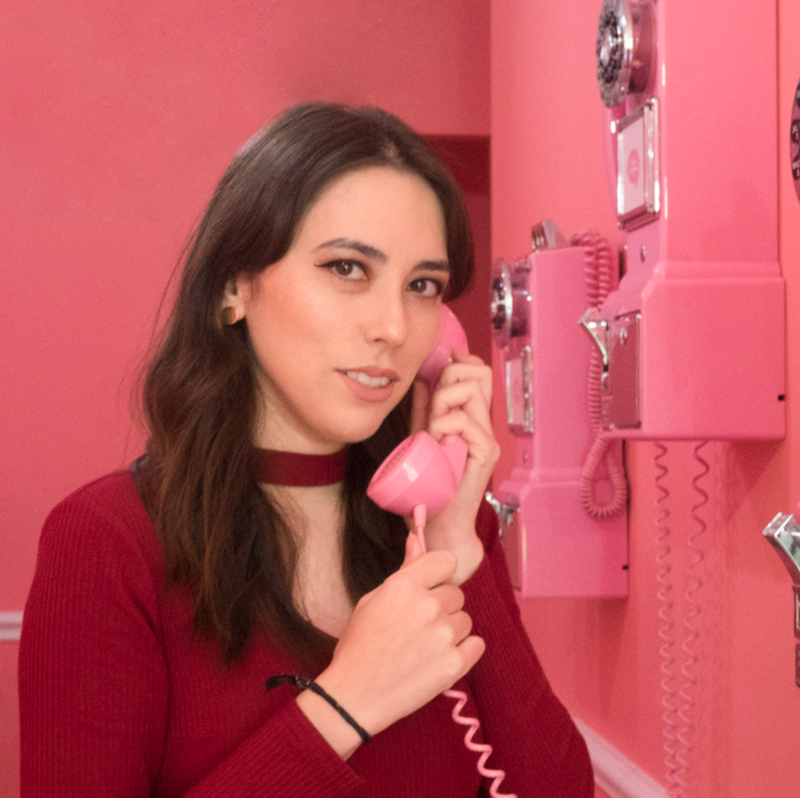 I was a bit concerned after handing over all that money to a somewhat sketchy hole in the wall shop. However, I remembered this was Japan and the reselling of tickets here is actually legal and regulated. So, this wasn't like buying from a scalper. I had the guarantee of the shop backing me (no matter what the shop looked like). And here are my discounted tickets! They worked exactly the same as a ticket purchased at full price would. I could choose the day, time, and give my seat preference. Everything went smoothly and I boarded the Shinkansen no problem! 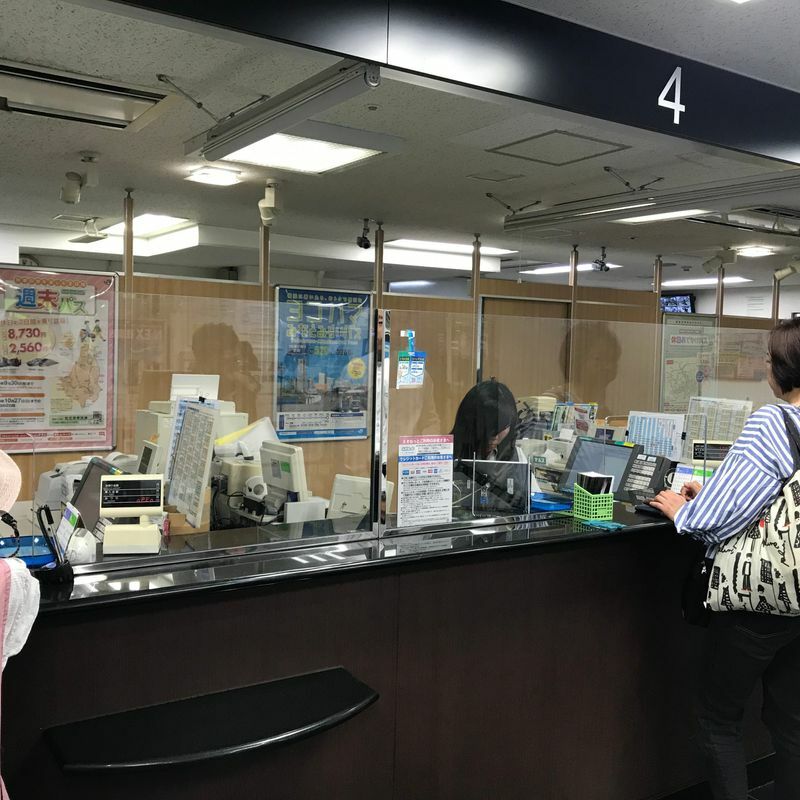 So, next time you're thinking of doing some travel on the Shinkansen, keep these ticket shops in mind. It may be a few extra steps, but for me the discount is worth it. You can also check them out and see what other kinds of discounts you can get from them. You may be surprised!